Home Apple iPhone5 iPhones Research Rumors Rumours iPhone 5 Expected Features- Will NFC Be Included? iPhone 5 Expected Features- Will NFC Be Included? With the iPhone 5 pre-orders already open in China, the rumors about the potential features of the upcoming device are running rampant. The hottest speculations, stemming from the patent filed by Apple back in 2008, suggest that an NFC (near field communication) chip and a new iTravel app will be featured in the new iPhone, benefiting travelers. According to an abstract from the “system and method for transportation check-in” patent, there is provided a method and system for transportation check-in (e.g., ticketing and identification) via near field communication using a handheld electronic device, such as a cellular phone or a personal media player. Such electronic devices may fairly be an iPhone, iPod, iMac or MacBook by Apple, as well as other devices by different manufacturers. There is an example provided to demonstrate how acquire the reservation and identification information may be acquired – “travel reservations may be made via the management application or may be retrieved from an email, a website, another NFC-enabled device, or a carrier-provided confirmation number. User identification may be acquired by scanning a radio frequency identification tag embedded in a government-issued ID. In another embodiment, an ID. 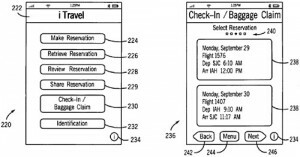 number may be entered via the travel management application, and the user’s identification information may be downloaded from the issuing authority”- reads the patent. Moreover, the chosen electronic device- either a smartphone or a personal media player, may be configured for obtaining, storing, or using electronic tickets and/or identification for transportation as well. In other words, what Apple has in mind is to enable people check in at airports by simply swiping their phones over a sensor! Even though it isn’t officially announced yet as to whether the new iPhone will be the first iDevice to implement the NFC technology, mobile payments technology – related rumors claim Apple to be experimenting with it. With the smartphones by other manufacturers already using the near field communication for the airport check-ins, it doesn’t seem too unrealistic that the iPhone 5 will take advantage of this feature too. 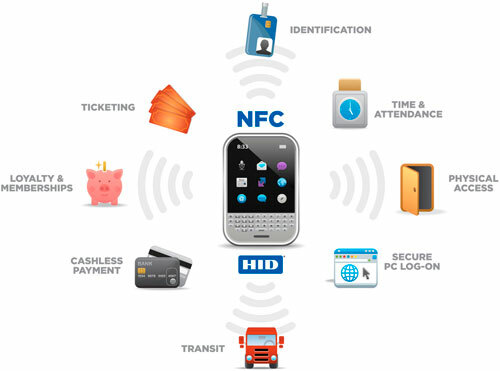 But the question is whether the NFC is what users are go-getting for? Do not hesitate to express your opinion below in the comments.